The Internet has evolved. With the emergence of Facebook, Twitter and YouTube, most companies and organizations can no longer rely solely on a website for their online needs. 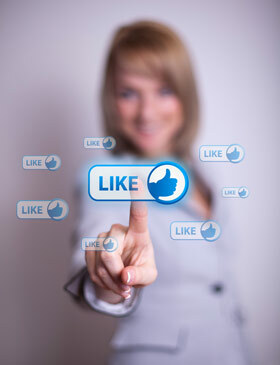 It’s now essential to have a social media presence to complement a company’s website and PR and marketing strategies. Social media, however, is not static. Facebook and Twitter require consistent attention as people now expect to interact with their brands. Building and maintaining a brand online now requires a consistent presence that engages daily with readers and customers. While this presents a host of challenges, it also offers an incredible opportunity. Companies and brands can now push information and content to existing customers and potential customers. Also, your customers and fans, along with bloggers and other influencers, can create a multiplier effect as they share your information and content. Most importantly, social media helps to leverage traditional PR and marketing tools. For companies that have commercials or promotional videos, those videos now need to be on YouTube, and then they can be distributed easily through Facebook and Twitter, where customers and fans can then share them with friends. A great story in the local paper can be shared through Facebook and Twitter. With a dynamic social media presence, companies and brands have the tools necessary to encourage influencers like bloggers, reporters and trend setters. It’s also a great tool for learning about your customers. You can see reactions in real time so you can make needed adjustments in product offerings, promotions or your branding strategy. An effective social media strategy is opportunistic. Planning is very important, but you have to be prepared to take advantage of events that impact your business and your customers. The larger brands and companies have devoted significant resources to manage their social media needs, and PR companies have staffed up to provide social media services and online PR operations. The best operations leverage a creative PR strategy with fun and informative updates on social media. The Camaro brand now has more than 2.3 million fans on Facebook. The budgets for these larger brands can be significant, but an effective social media operation can be operated efficiently. What’s required is a team that works with a company’s PR and marketing personnel to craft an overall strategy and then implement that on a daily basis. Each company or organization has assets that can be leveraged through social media, whether it’s events, videos and photos, or special deals on products or services. Don’t let them go to waste. Learn more about the knowledge and experience of the EXPbranding team and the various services we offer.